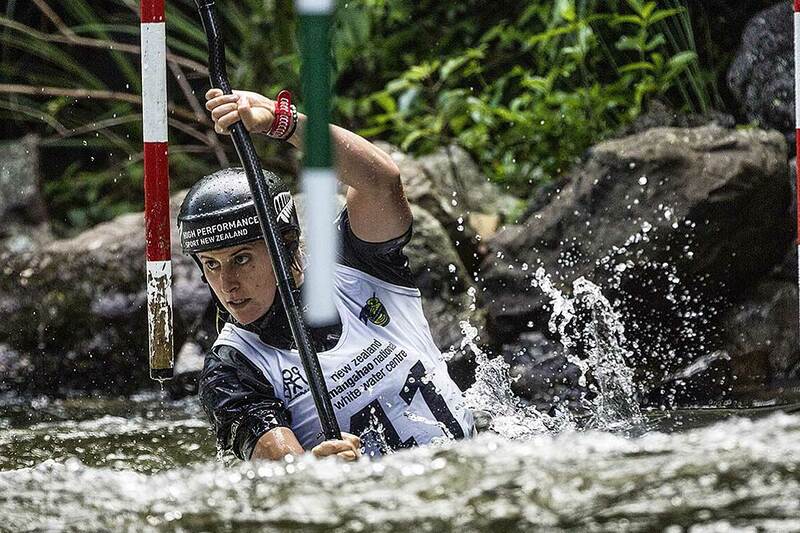 Luuka Jones paddles through the hanging gates of a canoe slalom course. 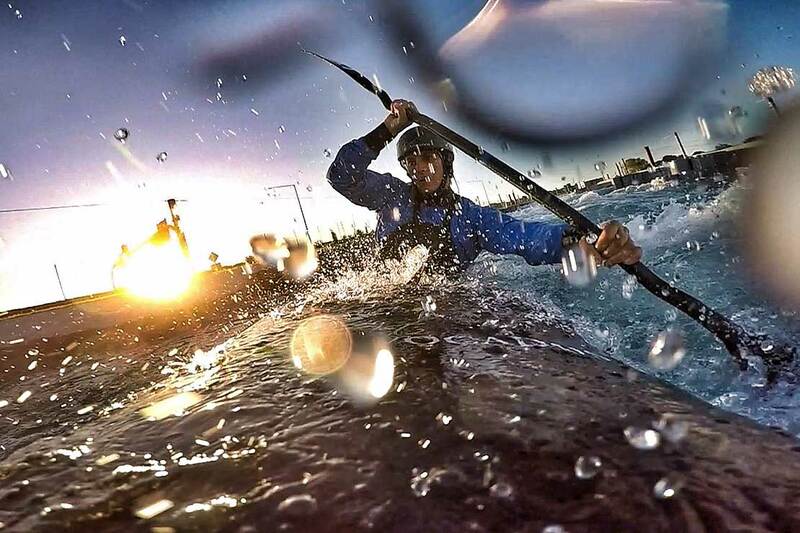 Olympic paddler Luuka Jones showed a keen interest in whitewater from an early age; there were also signs that the world of business might one day beckon as well. When, at the age of ten, Jones moved next door to the Waimarino Adventure Park on the banks of the Wairoa River, it wasn’t long before she put her negotiation skills to work, offering to do odd jobs in return for kakaking lessons. “Yeah, I was always doing deals as a kid,” the now 27-year-old Olympian and Massey University business student says. On the eve of departing her base in the United Kingdom for her third Olympics in Rio, Jones says she’s feeling confident, if she performs at her best, that she can finish in the top five in the women’s canoe slalom. It’s a little-known sport in New Zealand; in fact, when she qualified for the Beijing Olympics in 2008, at just 19, Jones became our first female canoe slalom Olympian. She says it’s also a male-dominated sport, but she likes the technical and physical challenge of navigating a canoe with precision through river rapids. Massey University business student Luuka Jones says her studies have already helped with her sporting career. Jones is only four papers shy of completing her Bachelor of Business Studies which, like many elite athletes, she is tackling via Massey’s distance learning programme. She is majoring in communication – a skill she says has already been useful in her sporting career. Unlike many other student-athletes, Jones has maintained her study workload this year, despite preparing to compete at the Olympic Games. So, while distance learning has had its challenges, the flexibility of Massey’s programme has made it possible to study while travelling and competing. “I’ve sat quite a few exams overseas, usually in World Cup week,” she laughs. “This year it was like, do a race, do an exam. Jones says being a veteran of two previous Olympic Games will help her prepare mentally for her 2016 campaign. She’s no longer the wide-eyed 19-year-old overwhelmed by the scale of the event and the media attention. “Knowing what it’s like when you’re sitting on the start line in front of those massive crowds definitely helps,” she says. While Jones intends to continue paddling competitively after Rio, she says she does think about her post-sports career. Her plan is to test the waters by putting some of her business studies into practice.